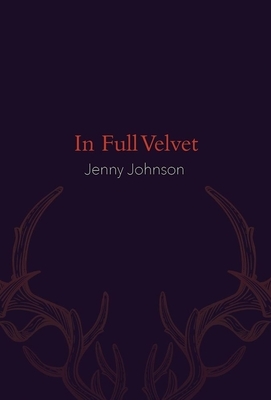 Sinuous and sensual, the poems of In Full Velvet interrogate the nuances of desire, love, gender, ecology, LGBTQ lineage and community, and the tension between a body's material limits and the forms made possible by the imagination. Characterized by formal poise, vulnerability, and compassion, Johnson's debut collection is one of resounding generosity and grace. Jenny Johnson is a recipient of the 2015 Whiting Writers' Award, and the 2016 Hodder Fellowship at Princeton. She lives in Pittsburgh, Pennsylvania. Jenny Johnson: Jenny Johnson is a 2015 recipient of a Whiting Award and a 2016-2017 Hodder Fellowship at Princeton. Her work has been anthologized in Best American Poetry 2012, Los Angeles Review of Books Quarterly, and Troubling the Line: Trans & Genderqueer Poetry & Poetics.